Crossing the ocean (any ocean) in Economy can be tough. Long trip, full flight, babies screaming, old flight attendant that drops a bag of ice on your leg by mistake and then says "dont worry, its just water." Personally, when I'm on a flight, I dont really want to interact with anybody. I especially dont want to do the classic elbow interaction with my neighbor. I also want to minimize the chances of things going wrong... hence, here are the few rules I follow to make my (frequent) flights as stress free as possible. Make a special effort to have ONLY carry on bags. Airlines lose your luggage more often than not, even when you have elite status (like I do). Travel light and try to pack everything into your (small) luggage and carry on. 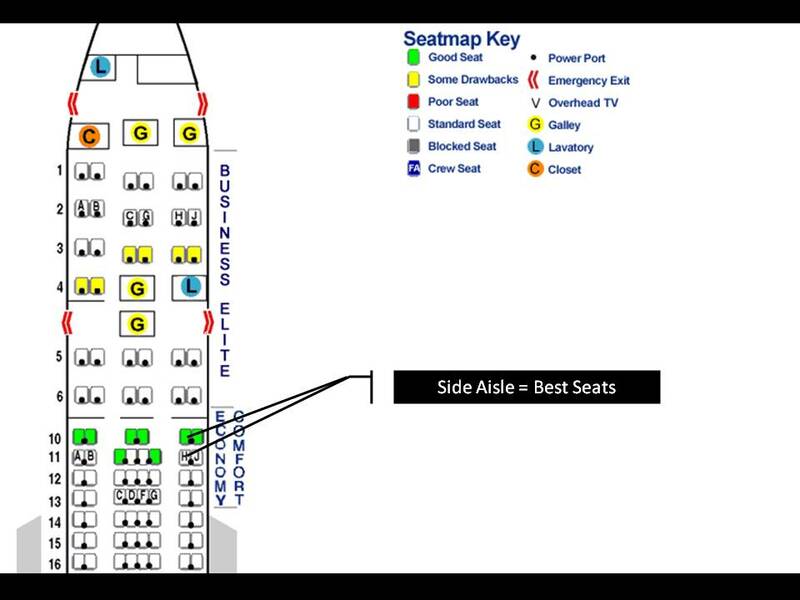 Reserve an AISLE seat. 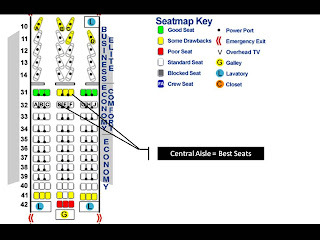 I reserve it in the central area of the plane if there are only 3 seats per row. 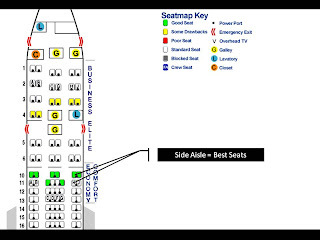 If more than 3 in the center area, get it on the side, but only if there are only 2 seats on the side. c) when your neighbors need to go to the restroom they can bother the other aisle gentleman/lady in case you are in the central area. Also use Seatguru to figure out your best seating options for the kind of plan you will be getting. Have the best noise cancelling headphones your money can buy. Kids on the flight, coughers and snifflers (yeah, the sick guy next to you pulling up his nose so much you want to throw a pack of kleenex in his face) and other noise makers can drive you insane over 12 hours. I personally use earbud noise cancelling headsets (like my Sony MDR-NC300D Headphones), but most prefer over-ear ones (primarily Bose and Beats). It depends on the way you sleep, I guess, but the earbuds I can wear under my hat (see photo above) and rest on the side of my head without dislodging them. Go to your Zen place. In the photo above you can see how I cover up to ensure maximum: a) protection from cold (as the plane can be a very cold place after a few hours); b) maximum protection from audio disturbances; c) maximum protection from light changes (as there is always the weirdo next to you that is on his first flight and needs to look out the window every five seconds - while that is fine on night flights, it can be a pain when you are trying to sleep through a long flight that follows the sun). Drink Water and possibly avoid alcohol. It will make recovery a lot easier once you are on the ground. 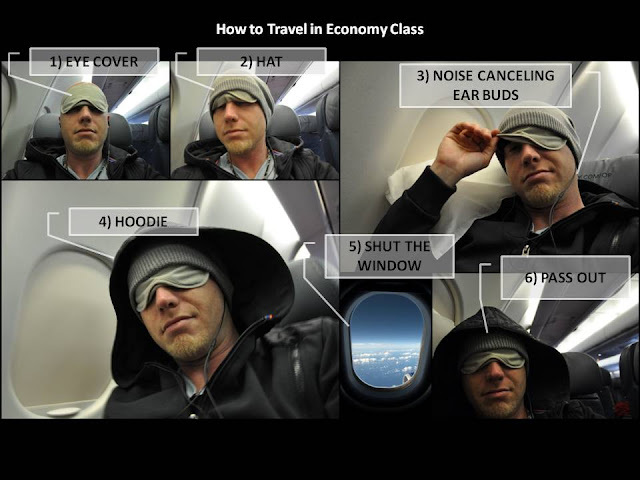 For those who travel Delta internationally, I suggest also buying the "economy comfort" upgrade. It's fairly cheap and totally worth the price. Finally, just to set the record straight, I'm not a big fan of Delta, but then again, I'm not a big fan of any US airline. If I could always travel New Zealand or Virgin, I would. Use the awesome chart below to help you form an opinion of who to fly with (source, here). The photos below and above were taken while I was going to Tokyo with my Nikon D90.